As web designers, there are instances where you put a lot of time and effort coding a project only to be disapproved by the client. 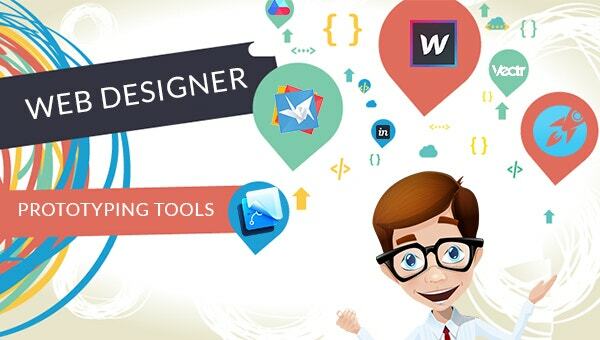 However, nowadays, there are numerous prototyping tools which allow you to choose the right layout, color palette, text styles and even graphics with your customer even before the coding process begins. This surely saves a lot of time, that is why we have collected some of this web design tool that every designer should use. So, let’s check them out. 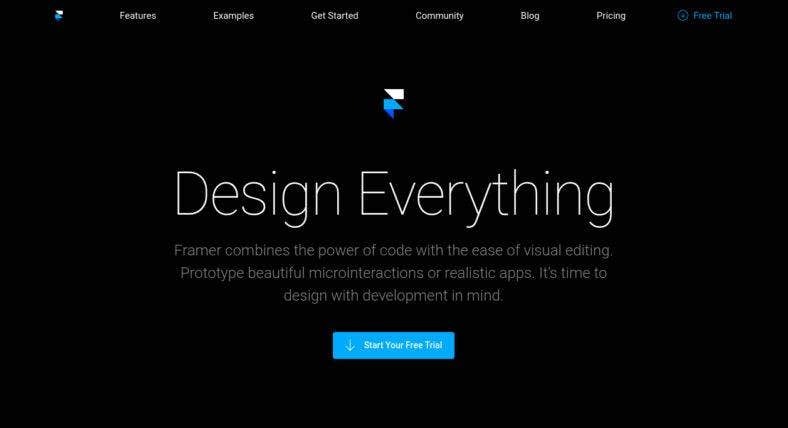 The all-new Framer incorporates both editing and coding tools in an all-in-one design toolkit. It features an auto-code guided learning experience while you layer elements of your design. This tool also enables real-time device previewing for your clients while you control the design process. It is also great for team web projects. One of the most popular tools out there, InVision helps you organize design components pretty easily. Aside from that, it also allows you to import design files, preview prototypes on mobile devices and link real pages. One of the best features of this tool is the direct support and feedback on your prototype given by its design team. If you’re using Adobe Photoshop or Adobe Illustrator to design your pages, then making a web or app prototype is easier by using Adobe XD. 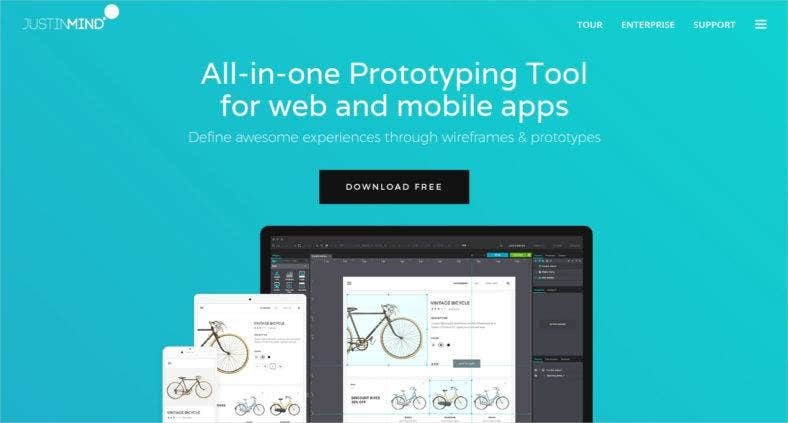 Developed and published by Adobe Systems, it offers tailor-made UX design tools to let you use symbols, layers, repeat grid, custom color watches, and basic shapes among others. 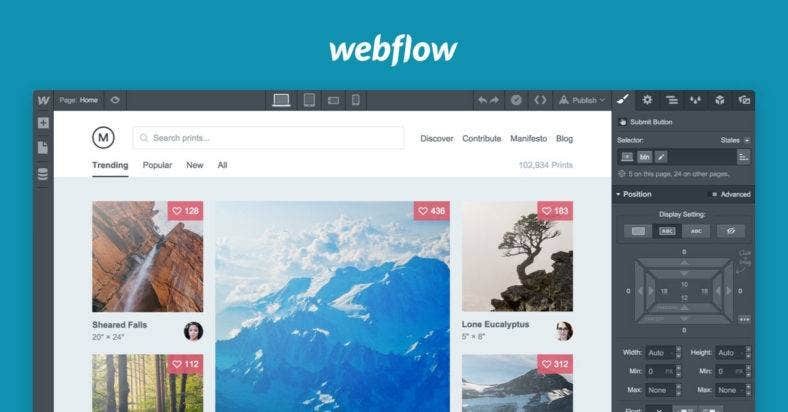 Webflow makes your design process fast and easy with available templates, web components, and built-ins to connect to different web services. It has a CMS and blog feature which not most designer tools have. And once you’re finished with your prototype, you can turn it into a production-ready site with just one click of a button. 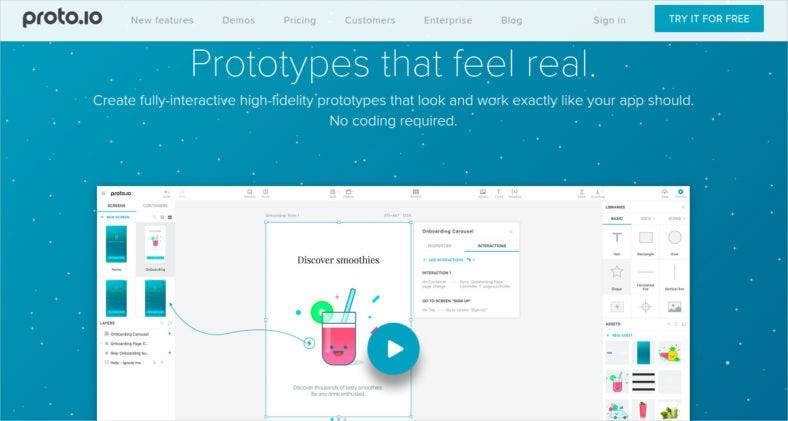 This prototyping tool gives you a collection of user interface elements and icons from PowerPoint, in order to create prototypes for mobile, web and desktop applications. 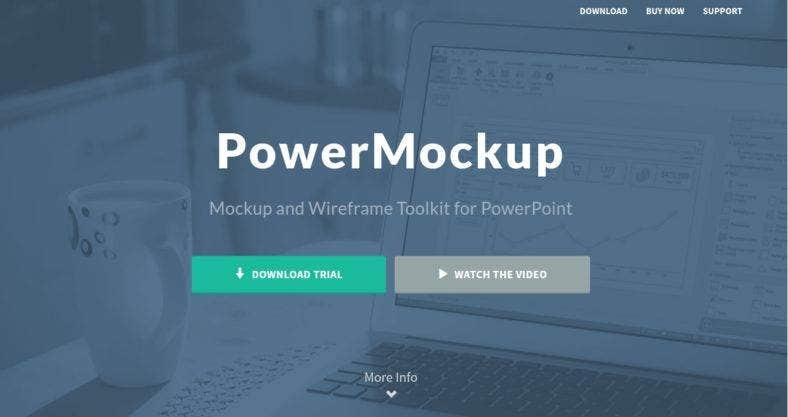 PowerMockup includes a quick search, drag-and-drop, custom and smart shape features that you use for wireframe and mockup designs. Lucidchart is actually a flowchart maker tool used for engineering, business and web prototypes as well as iOS and Android app mockups. A flowchart is essential in any design and product management processes. That is why Lucidchart is a great prototyping tool. It features a fully customizable editor, sophisticated graphics palette, and master pages. Once a Facebook exclusive tool, Origami is now available for anyone to use. It is mostly utilized in iOS apps, however, it also supports interactive Android prototypes. Origami lets you create design concepts for responsive websites in no time with its extensive documentation, tutorials and how-to videos. HotGloo is a user-friendly prototyping and wireframing tool used to develop and visualize your web or app design fast and easy. It is entirely HTML-based so it works and can be tested on all devices, whether online or offline. Hotgloo lets you work with a team by providing preview links that you can also share with your client. 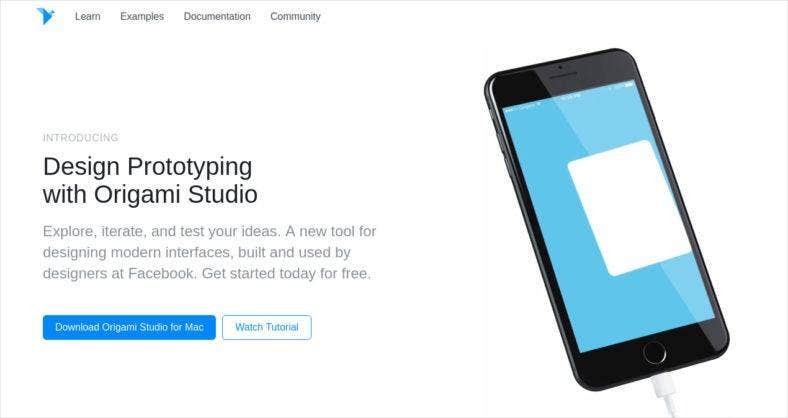 A browser-based prototyping tool, the Marvel App can turn your project sketches into prototypes by signing up for a Marvel account. 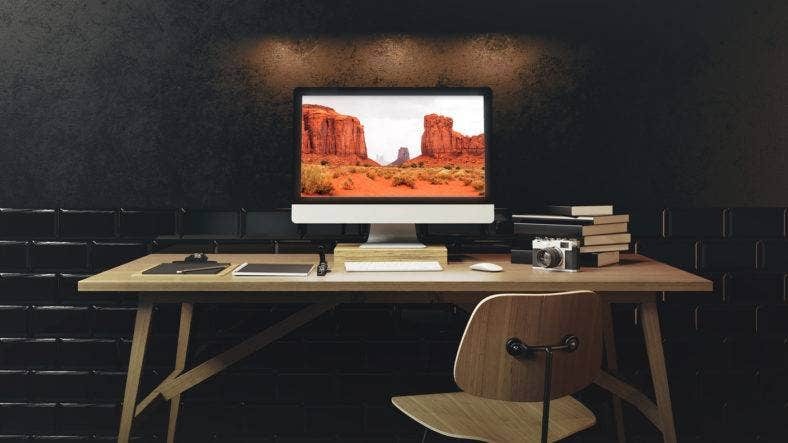 Although this tool does not have a full image editing capability, it boasts of its different features and facilities that can optimize your web mockups for various specific devices. Principle is a prototyping tool that lets you design animated and interactive user interfaces. It also allows you to design a multi-screen app with artboards that you can preset to different platforms. Principle enables you to share your design with teammates or clients instantly by connecting your device to their devices. Flinto for Mac features custom animations, gestures and Sketch imports and can be viewed on an iOS viewer app or on any iOS device. Flinto Lite, on the other hand, is a web-based app that can be used on both iOS and Android devices. It allows you to identify issues on interactive prototypes and address them from the start to save you from the hassle. If you want to have a quick start on your web projects, Proto.io offers ready-made website templates and apps that you can choose from. These templates already have different built-in interactions that you can just drag-and-drop. One of the benefits that Proto.io have is it runs on the web, therefore, it can run on any platform. Even without any knowledge or experience in programming and coding, Justinmind lets you create attractive web and app design mockups. It features an intuitive drag-and-drop interface to customize templates or define a new page from scratch. You can also give life to your designs by adding some pre-loaded UI kits. 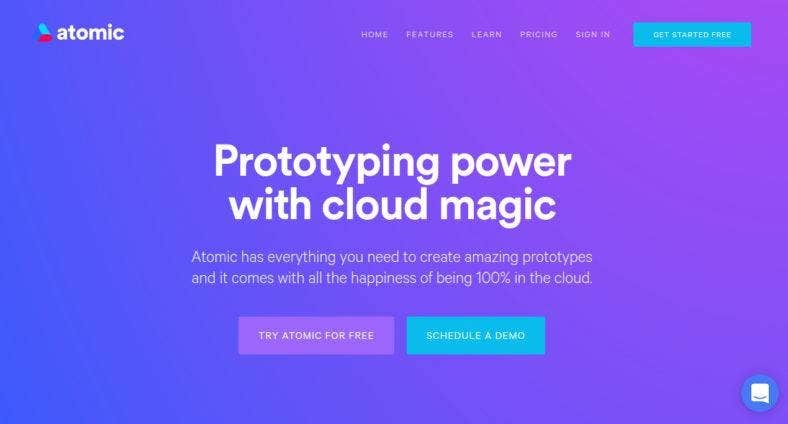 One of the things found in Atomic that is not found in any other tool is it stores all your prototyping elements and system in the cloud. It means that you can have a whole team of designers connected to a single or multiple projects without the fuss. It also allows sharing outside the team effortless like when you present prototypes to clients. 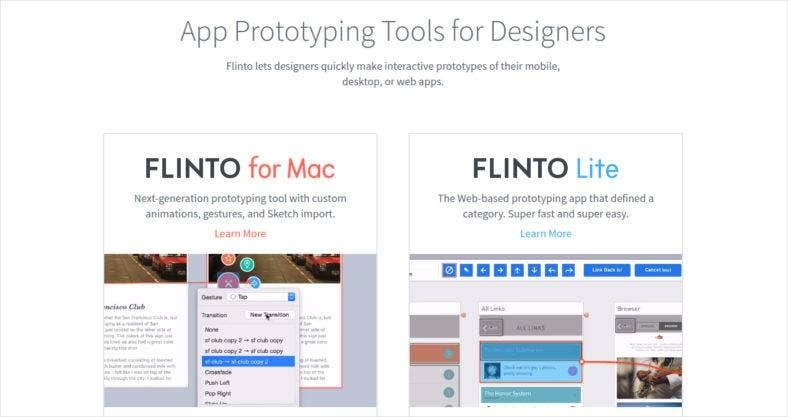 It is undeniable that there are still a lot of prototyping and wireframing tools for designers out there. Yet, we assure you that with this list, you are exposed only to the best ones. All you have to do is to choose the right tool that is perfect for your design aesthetic and style. So, make sure to try one of these tools now.